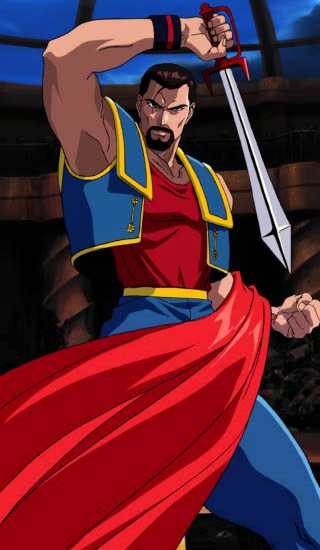 Laurence is a former Spanish matador who uses a self-styled martial art based on his deadly bullfighting methods. 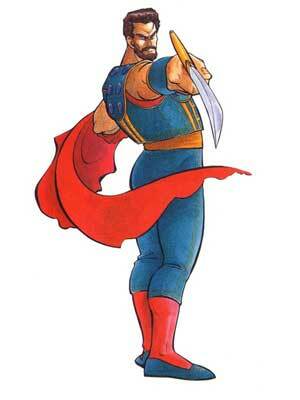 He serves as the right-hand man and servant of Wolfgang Krauser and participates in the tournament under his request. 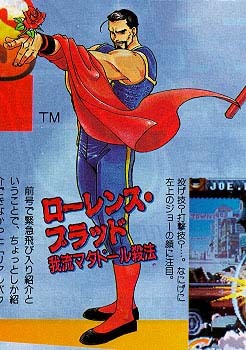 He debuted as a computer-only character in the Neo Geo version of Fatal Fury 2 and first became playable in Fatal Fury Special. A world-renowned bullfighter, Laurence is easily capable of gracefully dodging the charges of bulls and killing them with one stroke of his sword. Few people suspect what is behind Laurence's incredible career. Since an early age, Laurence's family has had close ties with the Earl of Strolheim. Having served the Krauser family for generations, the Blood clan has always played the role of faithful followers. 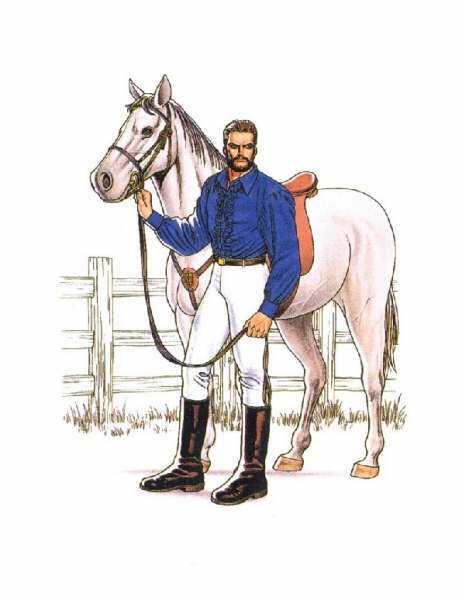 Laurence has not forgotten that vow, and has served the latest successor of the Strolheim heir in exchange that Krauser himself would support Laurence's training as a bull fighter. The trade fared off quite well, as Krauser had a respected and feared bodyguard in the form of Laurence, and Laurence himself had earned a name for himself in the bull fighting arenas. Always the man who knows how to pay his debts, Laurence attends to Krauser's call, when the Emperor of Darkness decides to host the second King of Fighters tournament, in hopes of finding the man who had defeated Geese Howard in the first tourney. 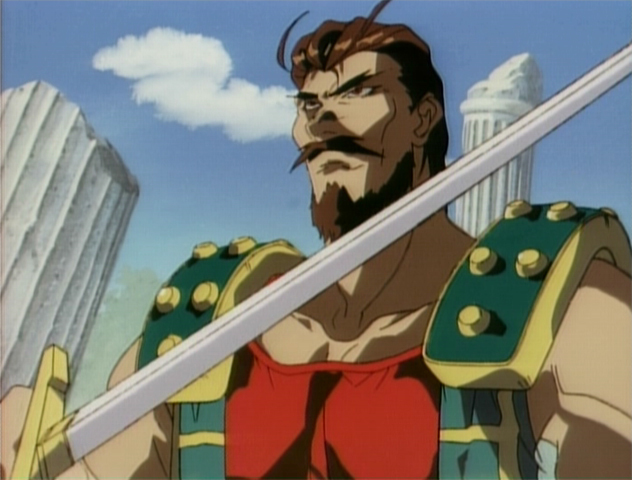 Laurence was in charge of protecting Strolheim Castle while Krauser was out trashing worthy opponents to prove his might. Laurence did not count on the power of the "Lone Wolf". Although Laurence was a formidable opponent, he was ultimately defeated and had to act witness to his lord's fall. After Krauser's defeat, Laurence vanishes from the bull fighting scene, possibly to serve his master Krauser for all eternity to make up for his incompetence. 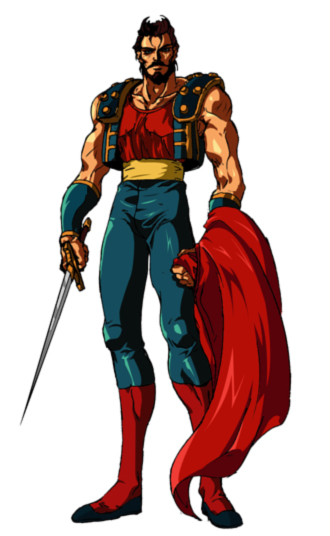 I can see the mild cleverness of throwing a "traditional" bull fighter into a fighting game, but at the end of the day, Laurence is a pretty uninspiring and generic fighting game character. Not much about him stands out as original or likeable, and it seems like he trying a little too hard to be cool. 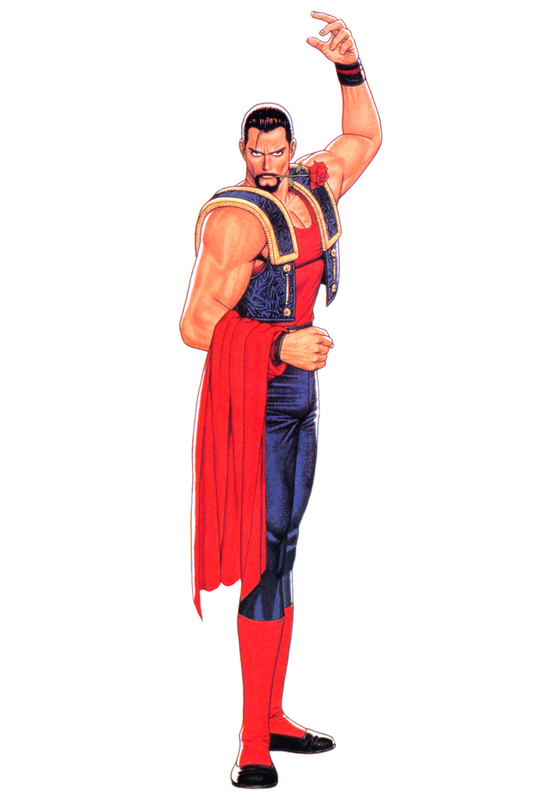 I'm sure if SNK really wanted to, they could bring him up to speed and give him a updated look... but there are so many other SNK characters that deserve a comeback over this guy.